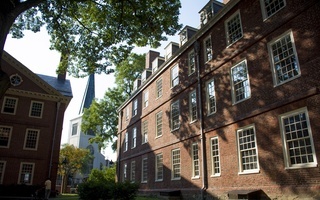 New England School of Law Professor Wendy Murphy, who filed the complaint, says that Harvard Law School is one of many institutions across the nation that violates Title IX’s mandates regarding sexual assault. Murphy has also filed complaints against Yale University and Princeton University. The Law School acknowledged the investigation in a statement. “We are aware that the Office of Civil Rights in the U.S. Department of Education has been contacted. We defer to OCR for whatever comment they deem appropriate,” Law School spokesperson Robb London said in a statement. The OCR did not return calls requesting comment. Murphy said that the complaint was based on three main problems with the Law School’s policy on responding to sexual assault. According to Murphy, these three discrepancies in policy have yet to conform with new guidelines released by Vice President Joe Biden in conjunction with OCR. These guidelines make clear to institutions that sexual assault on campuses is under the jurisdiction of Title IX and clarify exactly how to handle cases in a “prompt and efficient” manner. Murphy cited the most important flaw in the Law School’s policy as its currently drawn-out system for holding hearings for alleged assailants. Murphy said that holding hearings quickly is crucial considering a potential victim is only covered by the rules of Title IX while she or he is still at the institution—at the Law School, for three years—and would potentially be forced to learn alongside his or her assailant while awaiting the hearing. Murphy said that another discrepancy was the Law School’s requirement for students who alleged they were victims of sexual assault to prove their allegation by “clear and convincing evidence,” which she said is contrary to the Title IX mandate and the standard in the justice system. Title IX states that the burden of proof must instead be a preponderance of the evidence, a lower evidentiary standard. She also said that the Law School has failed to provide a written timeline to outline how long a hearing would take, which is required by the Title IX guidelines. Cari S. Simon and Amy J. Sennett, both third years at the Law School and the President and Vice President of the Harvard Women’s Law Association, respectively, said that although they are not aware of the specifics of the complaint, they support actions to improve campus safety. “The Harvard Women’s Law Association supports efforts across the country to create campuses that are safe for women and provide equal opportunities to access higher education,” they wrote in an email statement. More than two months after having received initial feedback on its Title IX procedures from the federal Office for Civil Rights, the Law School has still not received final sign-off from OCR on its updated draft. ​Harvard will continue to fight a Title IX lawsuit which charges that the University reacted with “deliberate indifference” to an undergraduate’s sexual assault complaint, taking its arguments to federal court on September 21.